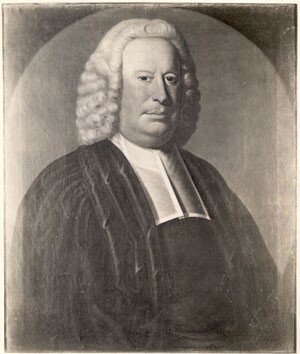 When the vestrymen of New York City's Trinity Church resolved to establish an “Episcopal College” in the City, they turned to Anglican minister Samuel Johnson, a well-known colonial scholar and Yale graduate to lead the effort. Johnson held the first classes at King's College on July 17, 1754 for eight students in the English charity school adjoining Trinity Church. The sole member of the faculty until 1757, Johnson combined classical studies with the wider study of science. In 1759, owing to personal circumstances and increasingly frequent absences from the City, Johnson began looking for his successor. In 1762 the Governor's of King's College finally selected Myles Cooper as Johnson's successor. A year later, Johnson retired to his home in Stratford, CT.